impeccable; the rooms and courtyard are a pleasant surprise, great secluded places where relax and get away from the noise of the city center. 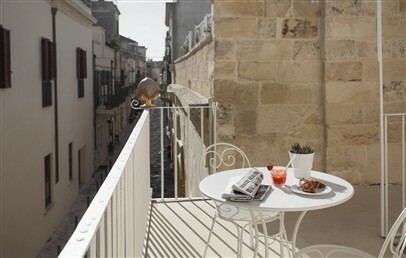 Mantatelurè Dimora Esclusiva is located in one of the most romantic corner of Lecce old town. A few steps away from the accommodation, guests can enjoy the church of Santa Croce, Sant’Oronzo and Duomo squares, the shopping streets and the best restaurants and clubs of the city. Mantatelurè is easily accessible by car from the highway or from Brindisi airport (44 km) and from the train station (about 5 minutes). If you are a sea lover, you can also discover the best nearest beaches of Porto Cesareo (28 km) and the most interesting places of Salento. 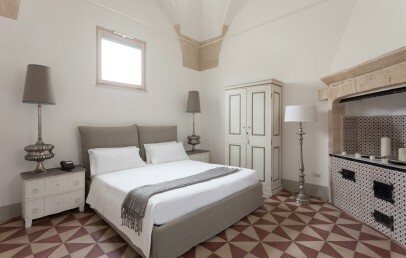 Mantatelurè is an elegant and refined palace as the original and successfully restored residence dating back to 1550. 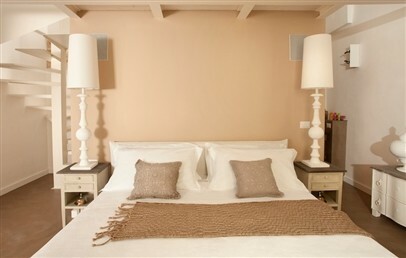 Mantatelurè offers an impeccable and high quality service and houses only 6 rooms and moreover 2 apartments. It has cozy common areas as the living room, the winery, the garden with a small whirlpool and terrace with solarium area. The hotel welcomes children from 10 years. 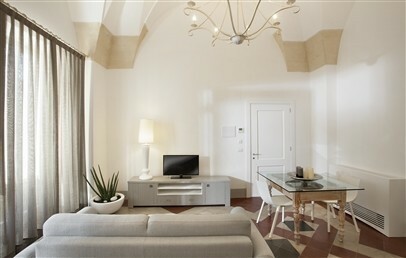 The six rooms and two apartments of Mantatelurè are comfortable, decorated in shabby chic style, equipped with a music station with 6 different music channels, "Simmons" mattresses and pillows, precious hand-embroidered bed linens, Tv with pay per view and Sky, Wi-Fi connection, universal battery charger, kettle, minibar and safety box. 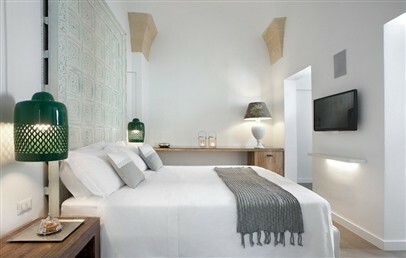 Each room has the en-suite bathroom with complimentary toiletries by "Etro". 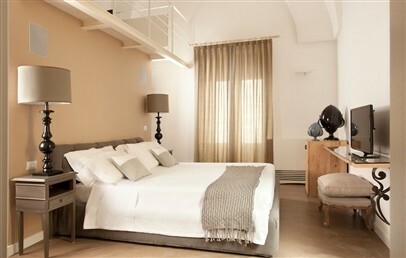 Deluxe – 22 sq.m., double bed or two queen-size beds, bath with shower, courtyard view. 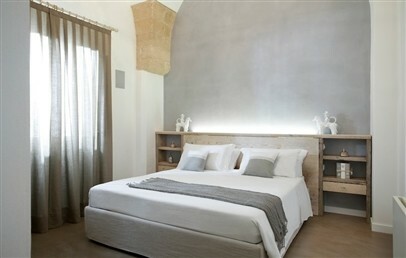 Junior Suite – 27 sq.m., double bed, living corner with sofa bed, king-size shower, main court view. 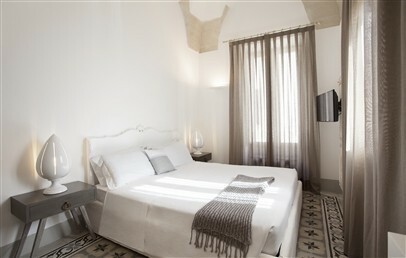 Suite – 35 sq.m., double bed room, small whirlpool, living room with sofa bed, bathroom with shower, use of the common courtyard. Suite Deluxe – 45 sq.m., four poster bed, small whirlpool, living room with desk and sofa bed, bathroom with shower, independent entrance and private courtyard. Important information: at the moment of the booking a pre-authorization of € 300,00 will be made on the credit card, as a security deposit. This sum will be completely or partially released after a proper check of the whirlpool. Apartment – 70 sq.m., bedroom with double bed (mattress not dividable), living room with double sofa bed (not dividable), equipped kitchenette and small balcony. 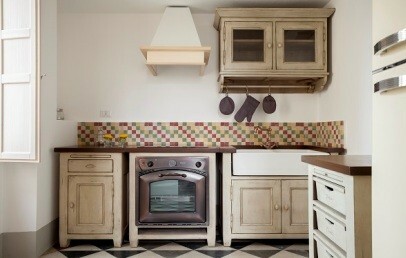 Apartment Deluxe – 80 sq.m., double bedroom, separate kitchen, living room and direct access to the terrace. The apartments are located on the first floor and accessible through a steep stair, without elevator. The Position of the Dimora Esclusiva Mantatelurè is excellent to explore the most beautiful beaches of the area Salento (maximum drive distance 50 min. ): Torre Lapillo, Spiaggia di Alimini, Torre dell'Orso. Also worth seeing is the area of Ugento – "Pescoluse" and "Gallipoli" from the headland of "Suina" to "Castro" and "Porto Selvaggio". Mantatelurè Dimora Esclusiva offers only a B&B service. The rich buffet breakfast is served in the "cantina" and consists of sweet and savory food daily made by the owner Marco Cimmino. During summer an sunny days, the breakfast and delicious aperitivi are also available in the garden. At the winery, guests are welcome to taste the local, national and international wines. At guest disposal are several additional services that enrich the stay in Apulia: concierge service, excursions and guided tours, personal trainer and make-up artist. 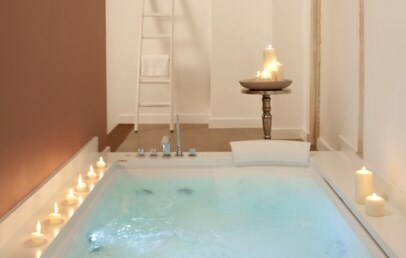 Furthermore Mantatelurè has also a special agreement with “Relaxaria”, one of the best Spa of Lecce, where guests can book relaxing beauty and wellness treatments. Small dogs are allowed only in the apartments and a supplement of € 50 will be applied for the final cleaning. Public parking on the street (blu lines € 0,60/h) or guarded are available (approx. € 10 per day). 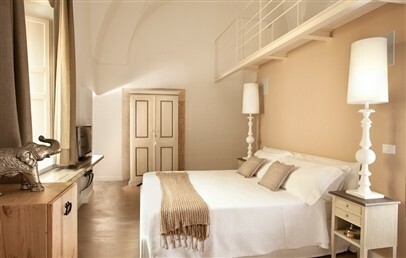 City tax of € 1.00 per person/overnight from October to April and of € 2.00 per person/overnight from May to September. The tax has to be paid on-site and will be applied only for the first consecutive 5 overnights. 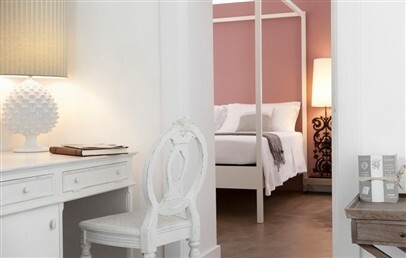 Furnished in shabby chic style, the 2 Deluxe rooms offer Simmons mattresses and pillows and precious hand-embroidered bed linens. They also presents clay floor and provide high-tech services: universal charger, tea and coffee facilities, Tv with pay per view, minibar, safe and pillow menu. The en-suite bathroom is equipped with extra-large crystal shower and maxi shower head, hairdryer and complimentary toiletries by Etro. The Deluxe Rooms have a courtyard view. 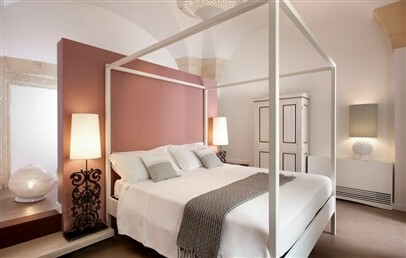 Elegant and comfortable and on request the 2 Junior Suites can be booked with connecting door, ideal for a family. They consist of double bed with Simmons mattresses and pillows and precious hand-embroidered bed linens and living corner with sofa bed. They are furnished in shabby chic style, have a clay floor and provide high-tech services: universal battery charger, tea and coffee facilities, Tv with pay per view, minibar, safe and pillow menu. 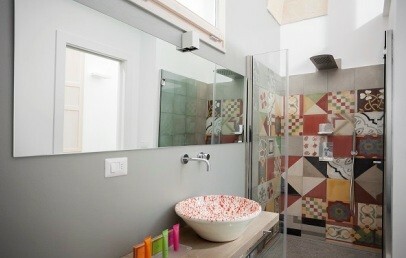 The en-suite bathroom is equipped with king-size shower (with maxi shower head or walk-in-fall shower), hairdryer and complimentary toiletries by Etro. 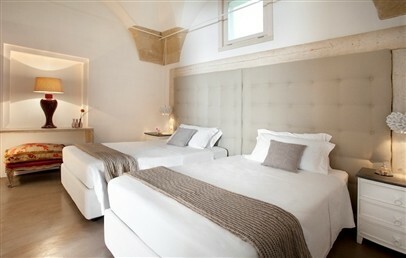 The Junior Suites face the main court of the hotel. Large and elegant Suite with Indian head bed, Simmons mattresses and pillows, precious hand-embroidered bed linens and double whirlpool tub corner. It consists also of a walk-in closet and separated living room with sofa bed. It is furnished in shabby chic style, have a clay floor and provide high-tech services: universal charger, tea and coffee facilities, Tv with pay per view, minibar, safe and pillow menu. The en-suite bathroom is equipped with extra-large crystal shower and maxi shower head, hairdryer and complimentary toiletries by Etro. The Suite faces a courtyard shared with another room. Exclusive Suite with four poster bed, Simmons mattresses and pillows, precious hand-embroidered bed linens and double whirlpool tub located beyond the bed. It consists also of a second room with sofa bed and desk corner. It is characterized by light colors and provide high-tech services: universal charger, tea and coffee facilities, Tv with pay per view, minibar, safe and pillow menu. The en-suite bathroom is equipped with extra-large crystal shower and maxi shower head, hairdryer and complimentary toiletries by Etro. The Suite has an independent entrance and a private courtyard. 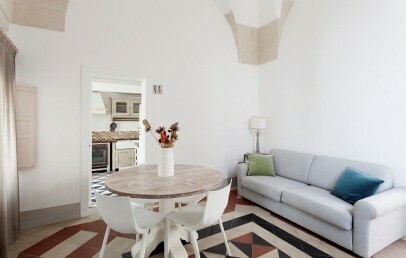 Spacious and bright apartment located on the first floor, accessible through a steep stair (no elevator). It has a small balcony and is furnished in a Shabby Chic style with a bedroom with double bed, a living room with double sofa bed (not separable) and a kitchenette with fridge, cooktop and oven (electric), cutlery and tableware. The bathroom has a shower. Guests are kindly asked to inform the hotel at least 24 hours in advance, if he wants to use the kitchen: during the check-in an inventory will be made and a pre-authorization of the security deposit of € 300 will be made on the credit card as a guarantee, this sum will be completely or partially released after a re-inventory by check-out. Daily cleaning; kitchenette excluded: guests can take care of the kitchen cleaning or if wished, the staff will take care of it upon paiement of € 20 per day. Small pets are allowed, they are not allowed in the common areas. Costs for the final cleaning € 50. 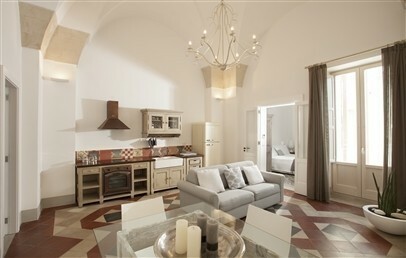 Spacious and bright apartment located on the first floor, accessible through a steep stair (no elevator) and offers a separate kitchen with fridge, cooktop and oven (electric), cutlery, crockery and a terrace. The furniture is a “Shabby Chic” style and has a bedroom with double bed and a living room with double sofa bed (not dividable). The bathroom has a shower. The guest is kindly asked to inform the hotel at least 24 hours in advance, if he wants to use the kitchen: during the check-in an inventory will be made and a pre-authorization of the security deposit of € 300 will be made on the credit card as a guarantee, this sum will be completely or partially released after a re-inventory by check-out. Daily cleaning; kitchenette excluded: the guest can itself perform the kitchen cleaning or if wished, the staff will take care of it against a supplement of € 20 per day. Long Stay - Book at least 5 nights and the last one is free of charge!